It is fulfilling to accompany this charming narrator on his journey of transformation. A journey through intense grief is at the heart of Eugene Mirabelli’s deeply affecting novel, Renato After Alba, a standalone follow-up to Renato the Painter. Eighty-something Renato Stillamare is grieving the loss of his beloved wife, Alba. Renato was a painter, but after Alba’s unexpected and painful death, he lost his muse and his passion for his art, along with his will to get up in the morning. Renato struggles to come to grips with his loss, often questioning his belief in God. 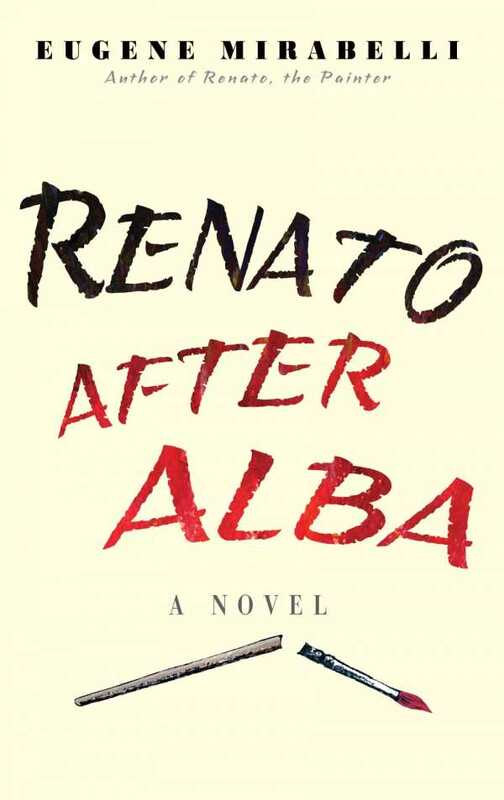 The premise of the novel is that Renato is writing his memoirs several years after Alba’s death. The prose is sparkling, and Renato is a lively narrator. He yells, he cries, he swears, he grieves, and although his spirits have plummeted, he gets up every day and mingles with a colorful set of friends and family, trying to make sense of his new, unwanted reality. Despite Renato’s rage at his attaining the unhappy status of widower, his feistiness is sensed along with a feeling that book will, if not end happily, at least conclude with Renato’s somewhat triumphant re-emergence back into life, albeit on an uncharted path. For a book focusing on the effects of grief, it is unexpectedly uplifting, most likely because Renato is an utterly charming and empathetic protagonist. Even when at his most profane he loses none of his appeal. If anything, the reader’s connection to him is heightened, as he displays raw, unfiltered emotions. That the novel comes as a memoir is an effective device that allows both Mirabelli and Renato to take literary liberties. For example, the book often, without warning, switches back and forth in time. In one section, Renato might be talking about the lunch he had with a friend that day, and in the next paragraph, he is suddenly a teenager meeting Alba for the first time. Nonetheless, the narrative flows smoothly throughout. It is fulfilling to accompany Renato on his journey of transformation, to read about the easing of his grief, and to accompany him toward a gradual rewriting of his life’s story.